Rustic, home-made, and packed full of fresh vegetables; these Fakeaway’s are cheaper and healthier but just as delicious as all your takeaway favourites. 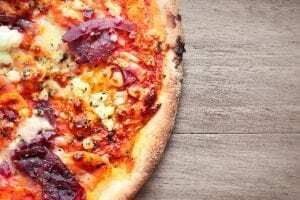 These pizzas all use the same sauce and come to life through scrumptious toppings and cheese. 1. Dip tomatoes in boiling water for a few minutes, then drain, and slip off the skins. 2. Blend the skinned tomatoes in a food processor and sieve to remove the seeds. 3. Add blended tomatoes to a small pan and heat until the tomato pulp has reduced to a thick paste. Then add extra virgin olive oil, stirring to combine. 4. Finally add garlic, rosemary, oregano, basil, and water, cooking to reduce until the mixture is at your preferred pizza sauce consistency. 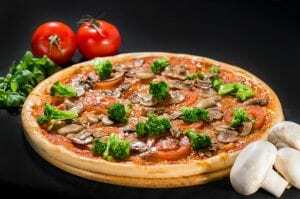 A classic vegetable pizza featuring all your favourites plus crispy broccoli for a little extra pizzazz (get it?). Made with goat’s cheese instead of your traditional mozzarella, this creamy pizza is as decadent as it is delicious. An Italian favourite full of flavour and topped with a fried egg (or two)! TOP TIP: For the perfect Florentine, bake your pizza until it’s almost done and add the eggs right at the very end, when there’s only 2-3 minutes of cooking time left. 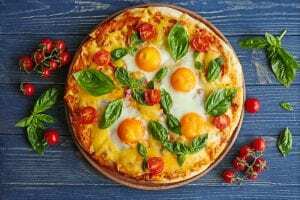 Return to the oven and cook until the eggs are set and the pizza is golden. 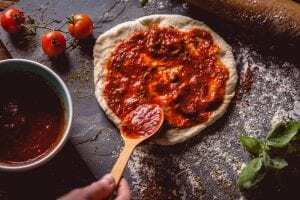 There are plenty of simple pizza dough recipes available online but we certainly won’t judge if you buy pre-made pizza dough and let the toppings do the talking. 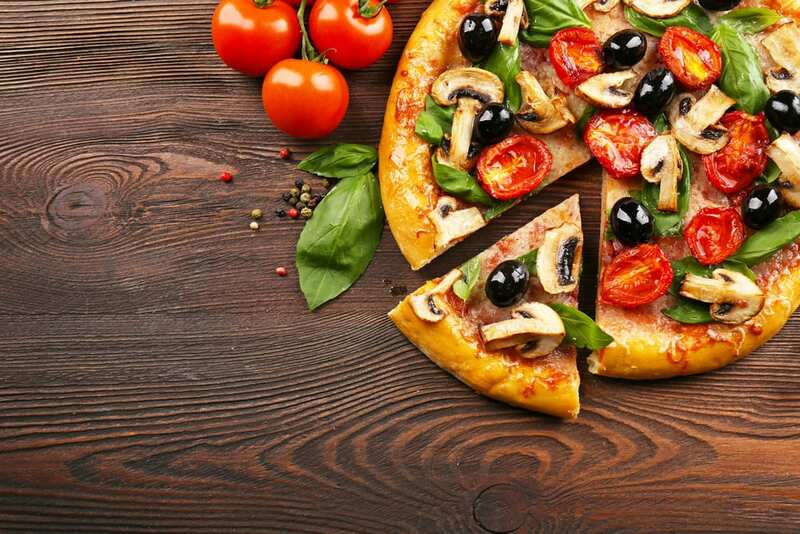 Alternatively, why not try making your own healthy vegetable pizza crusts from cauliflower, courgette, or even butternut squash!